This project explores what happens if we allow spaces to be shaped by the activities occurring in and around them, rather than vice versa. 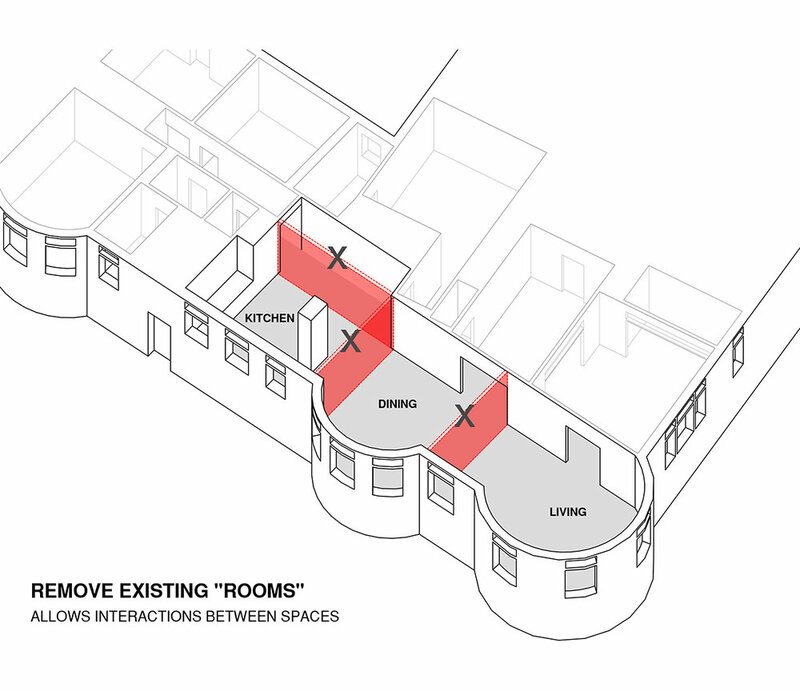 We first removed all existing definition of "rooms" from the front half of the unit, creating one common area with unhindered interactions between spaces. Communal activities such as eating, sitting, entertaining and relaxing naturally gravitate toward the circular zones implied by the curved, south-facing bay windows. 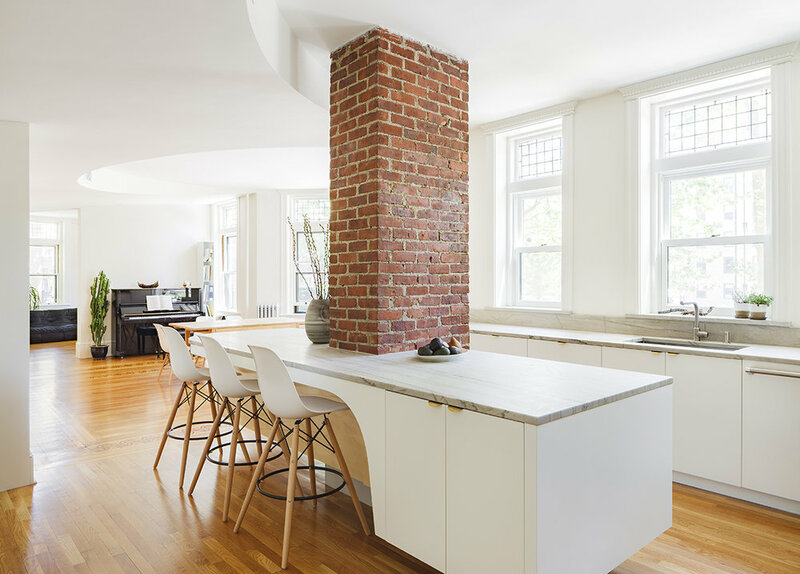 Cooking becomes a group affair surrounding the original central chimney. Off of this brick center-piece, we suspended a large island with an eroded carve-out to accommodate seating. For the largest circle, located at the corner of the building, we extended a curved partition just wide enough to house a TV screen on one side and an upright piano on the other.